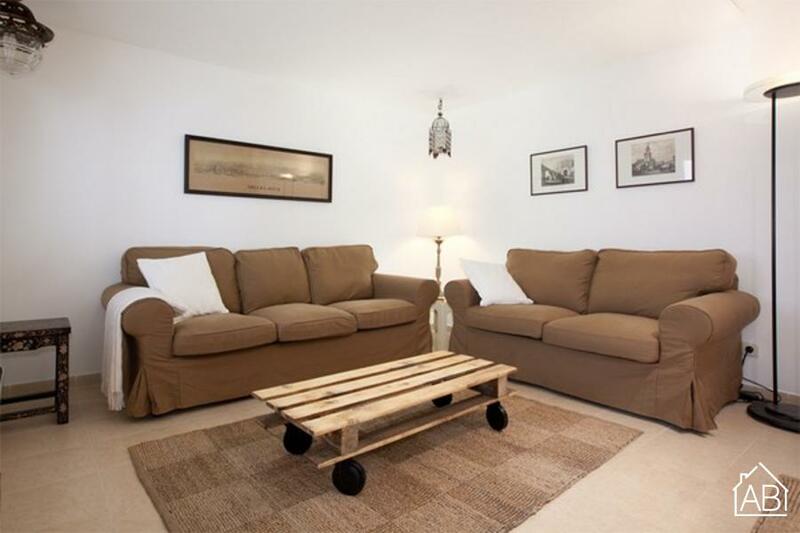 This lovelytwo bedroom apartment in Barcelona is located in the quirky Barceloneta neighbourhood just steps from Barcelona´s many beautiful beaches. It is also just a short walk to downtown Barcelona and the Barceloneta metro station making it easy to get around town. You are sure to feel right at home in this warm and welcoming apartment that enjoys a simplistic yet homey design throughout. The main bedroom has a double bed while three single beds can be found in the second room, meaning that this apartment can accommodate up to five people. Kick back in the living room where comfy sofas and a TV can be found, along with an Internet connection.